Publisher: George Allen & Unwin. Country: United Kingdom. Date: 1936-47. London, George Allen & Unwin, 1945 (Primers for the Age of Plenty, 2). Hardback with dust wrapper. 1128 pages. Some black and white illustrations. This 1945 printing is the sixth impression of the 1940 second edition. Series Note: General editor of the series: Lancelot Hogben. 1. 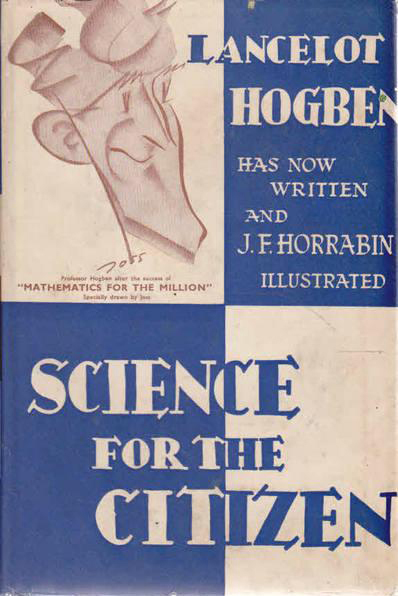 Mathematics for the Million: A Popular Self-Educator - Lancelot Hogben. 2. Science for the Citizen: A Self-Educator Based on the Social Background of Scientific Discovery - Lancelot Hogben. 3. The Loom of Language: A Guide to Foreign Languages for the Home Student - Frederick Bodmer. 4. History of the Homeland: The Story of the British Background - Henry Hamilton.